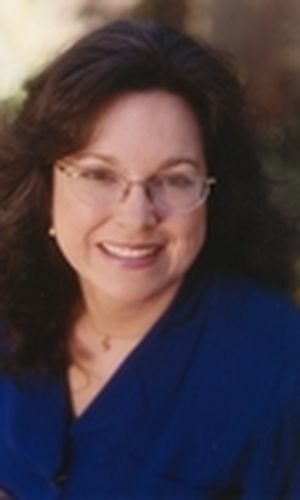 Buyers MC Dwyer- Santa Cruz Mountains real estate specialist & San Lorenzo Valley homes. If you’ve been thinking about buying a home, you’ve probably already dreamed about all the things you could do, once you own your own property. You may have even gone to a few open houses already…talked to a few agents…but what are the next best steps? Where should you start? How can you avoid common mistakes, headaches, or even nightmares? These articles are designed to help you navigate the process of purchasing a home, whether you’re a first time buyer, want a vacation home, or are ready to invest in income property. My job as a full time Santa Cruz County REALTOR is to help you understand all of your choice. Along the way, I’ll manage all the details of your transaction, so you can achieve your dream of home ownership as smoothly as possible. After a decade of helping first time buyers, here is the best advice I can give you to save yourself time, money, headaches and heartaches. 1. Get Pre-Approved by a Lender: Talk with a trusted mortgage broker - first. Why waste your time looking at homes, only to experience the heartache of discovering you can’t afford “the one” that you like the most? Money Saving Tip: Don’t put this step off – several of my clients thought they didn’t need to get pre-approved until they found “the house.” It caused a few headaches when they learned they were just 1-5 credit points away from getting a MUCH better interest rate! If you start the process early, you can fix any problems before the deadlines of an escrow begin. Your mortgage broker will ask you questions about your income, taxes, and credit score and help you calculate how much you can afford to pay for a home. Be sure to ask your lender to estimate your closing costs – these run in the thousands of dollars so you want to be prepared for the expense. Sellers will not take you seriously UNTIL you have a Pre-Approval letter! I can give you the names of several trusted Santa Cruz area lenders who’ve done a great job for my clients. 2. Choose a full time, dedicated REALTOR as your buyers’ agent. Time Saving Tip: Avoid the time consuming mistake of just calling all the listing agents yourself. The listing agent already represents the seller! It costs you nothing to have your own buyers’ agent to provide arm’s length negotiations, but it can save you a mint. How? A sellers’ agent could unconsciously favor the seller with whom they’ve had a longer relationship. Plus - having your own agent working for you means your agent can tell you about competing properties that might actually work better for you! Money & Time Saving Tip: Ask how familiar the agent is with the areas you’re considering. In the Santa Cruz Mountains and San Lorenzo Valley areas, I’ve been trouble shooter and problem solver of issues that many city agents have never even encountered. I can spot and point out potential issues and concerns to you even as we’re touring properties & neighborhoods. This way, you are better informed to decide if you even want to make an offer. Any special requirements – accessibility, home office, storage, etc. 1st Time Buyer note: Typically, your first home is not your forever home. For many people, their first home is a stepping stone on the way to their dream home. You may not be able to afford everything you want. So purchase with the strategy of building equity by making some improvements over time. Smart real estate investors buy with an exit strategy already in mind! For example, many homes in the Santa Cruz Mountains don’t have a garage, but some properties have enough land where you could add one in the future. Could you get by for a while with a carport, workshop, or storage building? If I’ve set up an MLS portal for you, and you mark the property with a heart or an idea icon, you can easily see what it eventually sells for! This will really help you understand local market conditions. Whether you use a notebook, property printouts from your agent, a smart phone or a tablet, be prepared to ask your agent questions by referencing the property address or the MLS#. As you shop for property in the Santa Cruz Mountains, keep a list of the homes you’ve seen. Rank each property every time you go out. Make notes or take pictures to help you remember each property you liked once you’re home. Consider sketching a quick floor plan. Look at how the property sits on the street – that’s rarely in the marketing photos. If you’re part of a couple, use the trip home to discuss what you liked and disliked: develop a way to reach consensus. Look beyond the property’s cosmetic appearance, whether it’s staged or messy. Consider the structure, how it sits on the land, the sun exposure, the neighborhood, the floor plan – these are the keys to long term enjoyment and value. Cosmetics can be changed! A floor plan may be difficult to change. Once we’ve toured a few homes, I’ll have a good idea of what you like. I tour Santa Cruz Mountains and San Lorenzo Valley properties twice a week, so I can spot your dream home while you’re at work. Consider taking time off of work, or coming right after work, to look at properties I’ve identified as ideal for you. In a competitive market, a weekend property warrior can lose properties to buyers who are light on their feet. Once you find a property that meets your needs, it’s time to write an offer to the seller. ​You’re in the driver’s seat, making all of the decisions throughout the process. I will be your co-pilot and guide. I’ll help you understand the purchase agreement and the protections provided you at different stages. I will prepare a market analysis of similar properties – to help you decide the price you’d like to offer. I’ll explain the pros and cons of different terms to offer the seller. I will find out from the listing agent if you are competing against other offers. If there are disclosures available, I’ll help you understand them. We can fill out the offer together in person…or if necessary, over the phone. You can sign most documents electronically. If you get a counter-offer from the seller, I’ll help you strategize how to respond. Sometimes, it may take a buyer making several offers before they get their offer accepted, especially if it’s a sellers’ market. After your offer is accepted by the seller, I will create a timeline of tasks and milestones for you to follow. This timeline outlines the entire escrow process – it’s about 40 steps. At this stage, paying attention to timing is critical. I’ll explain every step of the way, which begins with depositing your earnest money into the escrow account. This account is held by a neutral title and escrow company in Santa Cruz County real estate transactions. Your earnest money deposit becomes part of your down payment. I’ll explain the rare circumstance – defaulting on your contract – which could put your deposit at risk. Plan to spend about $1500 or more to investigate and have the lender appraise the property. While it’s customary in Santa Clara County real estate transactions for the seller to provide the buyer with all inspections and disclosures up front, it’s not yet customary in Santa Cruz County real estate. I can refer you to numerous inspectors and contractors. Ideally, we review the disclosures together in person. Your time and money invested in this phase is crucial to understanding the true condition of the property. I think it is essential that you attend all of your inspections, and that we visit the County or City together. Reading reports pales to actually being there to ask the inspector your own questions. This means you’ll likely have to take time off of work. Once you have completed your investigation contingency period, most of the rest of the process is between you and your lender. I will arrange your final walk through, to make sure any repairs were done well and that chandelier you put in the purchase agreement is still there. I’ll give you a list so you can begin arranging transfer of utilities. When you’re signing your loan documents, it’s time to put the rest of your down payment and closing costs into your escrow account. Then your lender wires the rest of the money into your title and escrow company. Your Escrow Officer balances the financial accounting between buyer and seller, and then instructs the county to record the property in your name. Then I get to hand you the keys! This may sound overwhelming…and it could be if you tried to do it all on your own. That’s why you should have me, your dedicated agent, your co-pilot, helping you navigate safely to your new home. Purchasing a home is among the largest financial investments you’ll ever make. Most people don’t have much experience with negotiating, in fact negotiating makes many people uncomfortable. Here’s where you can lean on me: even prior to my real estate career, I was negotiating multi-million dollar transactions as a securities analyst and trader in San Francisco. Negotiating Tip: Let your agent do most of the talking. Sure, you can be friendly with the seller and their agent. But, the last thing you want to do is accidentally reveal the depth of your desire, any confidential information, or your purchase concerns during what you thought was a casual chat with the seller or their agent! As your agent, it’s my job to find out as much as I can about what the seller wants and needs from you, the buyer. Often, factors other than price can that make your purchase offer attractive! Sometimes, it’s about timing, or security, or a hassle-free sale. Some sellers even feel like stewards of the land, the home, or the neighborhood….and want to hand the property over to someone who will take care of it. Some sellers are closely connected to their neighbors and hope to pick a buyer who will be a good neighbor. Ultimately, though, most sellers want to maximize their profit. Knowing what kind of seller you are dealing with makes all the difference. Negotiating Tip: Once you’ve decided to write an offer, try not to become overly attached to the property. Although this could be your future home, right now, it’s a business transaction. If you keep in mind that there will be similar homes for sale in the future, it may help you be less attached - and better able to negotiate. Still, sometimes, you just know it’s the right home for you. In that case, you might be willing to pay a little extra in order to secure it. How long does it usually take similar homes to sell in the area? Is the market appreciating rapidly, stable, or are prices softening? Does this home stand out as superior in appeal, condition, floor plan, location? If your offer was not accepted, would you bounce back quickly or might you be really disappointed because of how well the property suits your needs? Do you have a deadline of some nature? Tell me why: I’ll keep it confidential, and I may be able to suggest alternatives. Negotiating Tip: As you might guess, I’m not going to reveal all of my trade secrets on my website! So give me a call today! If we decide to work together, I’ll do everything I can to negotiate for your best interests.